Deserts. That’s what I thought I’d see in Brunei Darussalam. I don’t know where that idea came from. The country is located in Borneo, duh! I guess the fact that it is rich in oil might have given me an image of the Middle East. It’s not a surprise then how wealthy the country is. In turn, the standard and quality of living is quite high. Basic services are provided for free – education, health, even housing. And they don’t pay taxes! How cool is that?! 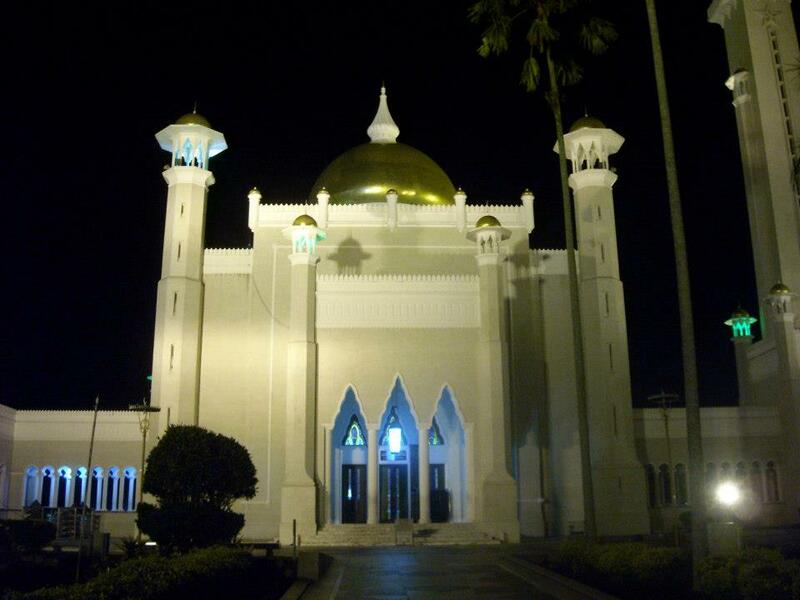 Bruneians put the Sultan in high esteem. Who wouldn’t, with such kindness evident in the prosperous lives of the people. He even opens up his home, his palace, once a year and welcomes everyone, even foreigners, for a feast and celebration. Driving around Brunei is quite convenient and cheap, I would say, since fuel is cheaper than water. The roads are wide and are structurally similar to those in England, a trace of the British influence which once colonized Brunei. 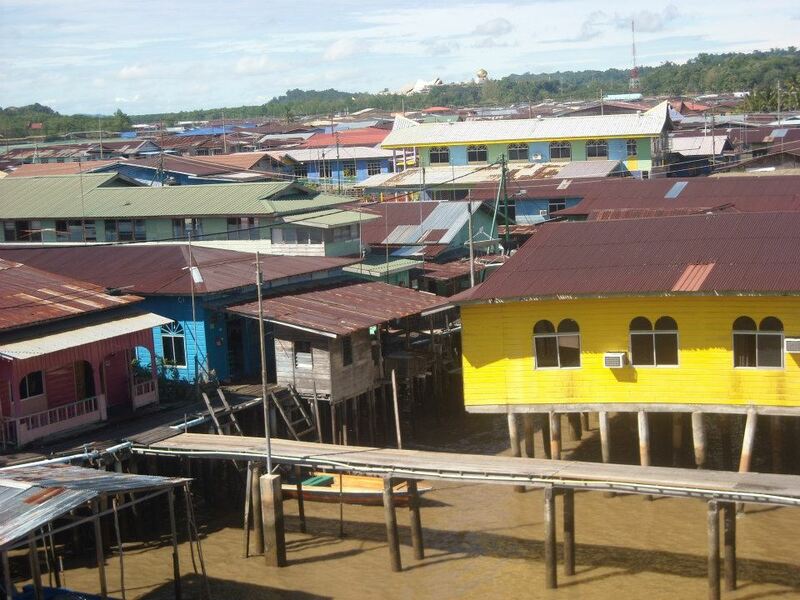 After all these years, you could still see houses on stilts in the Water Village or the Kampong Ayer. 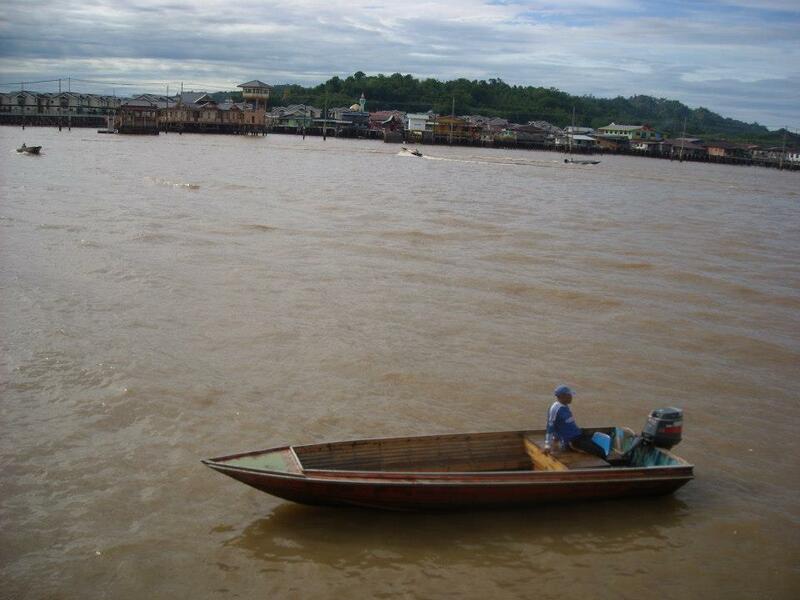 In the past, the main job of Bruneians is fishing which makes it practical for them to live right in the water. Later on, they decided to settle on land although some chose to stay in these water villages. 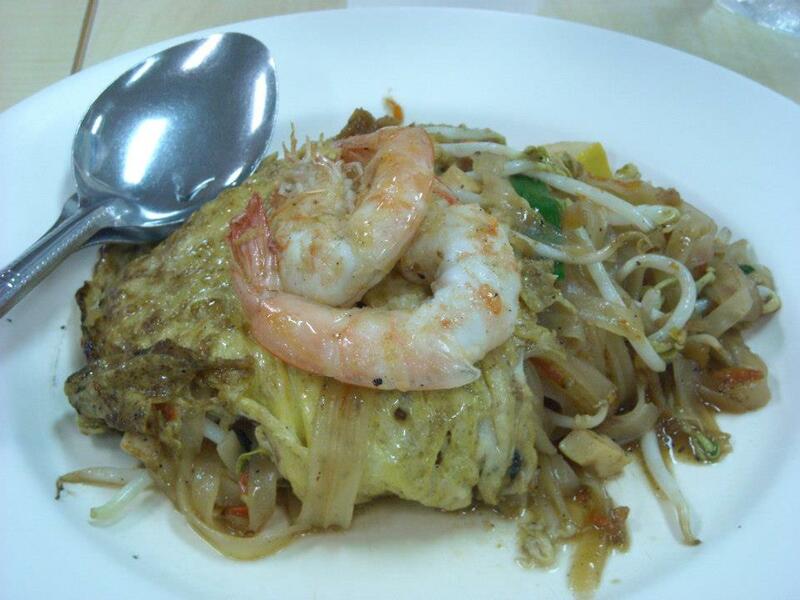 Food in Brunei is very similar to Pinoy food. During meals, rice is served with a viand of meat or fi sh and vegetables. Offered food should never be turned down. Unless you’ve already eaten in which case you say so and briefly touch the pots or bowls of food to show respect. “It’s so quiet and peaceful here,” I remarked. It’s like a province-city. Maybe because you don’t see the usual sights and sounds – the bright lights at night, the blazing music from bars or clubs, and those sorts of things. Well, they obviously wouldn’t have that in a country where Islam is the official religion. What do they do for fun here? They hang-out in coffee shops, bowling alleys, and billiard places. One night, we played pool and had chocolate shake for a drink. Seemed like an odd combination because usually they would be serving beer in these places. But for a non-drinker like me, I didn’t mind this at all. Brunei didn’t feel all too foreign to me, with the laid back lifestyle, the flavorful food, the close-knit extended families. Felt like right at home. And yeah, didn’t see any deserts anywhere. An homage for Singapore’s 50th birthday. “What?” I was just nodding, feeling stupid because I couldn’t quite catch what she was saying. “Yes, yes… right,” I said. And she stopped talking and looked at me expectantly. Did she just ask a question? That was one of the things I had to get used to the ﬁrst time I was in Singapore. They speak English, yes. But they have their own accent which these American or British immersed ears found totally foreign. I think it’s a mix between British and Chinese languages resulting to that unique Singlish. When I worked as an English teacher, I always told my students that listening to English is very easy and they would look at me as if they would just throw the chair right to my face. But really, it’s just a matter of getting used to. And true enough, I sort of got used to that Singlish twang, even adopting it; dropping my r’s and adding “lah” at the end of sentences. “Lah” doesn’t mean anything. It’s a sort of verbal ﬁller which probably is for emphasis. Now the whole world knows that Singapore is a “ﬁne” country. Fine as in super clean and organized. If I am to pick two words to best describe the place, it would be those two. And of course it’s not a ﬁne city for nothing. You get ﬁned for everything – littering, eating in the subway train, smoking, chewing gum. Well, chewing gum is okay but it’s illegal to sell it. I learned from Rockwell, our host dad, that the gum ban came from an incident when the subway malfunctioned because of gum stuck on the railway. Speaking of transportation, let’s talk about the cars. All the cars in Singapore look new. I’m not exaggerating but I wasn’t able to see one that actually emitted smoke. Owning a car here is one fascinating story. The permit is auctioned, you pay for the car, and you are to use it only for ten years. It’s their way of regulating the number of vehicles considering that it’s a country the size of a city. They have it all ﬁgured. The trafﬁc, the way things are done like efﬁciently checking one’s order in a menu list if in a restaurant, softening the concrete jungle by planting trees everywhere – so organized as I said. It’s a Singaporean thing. 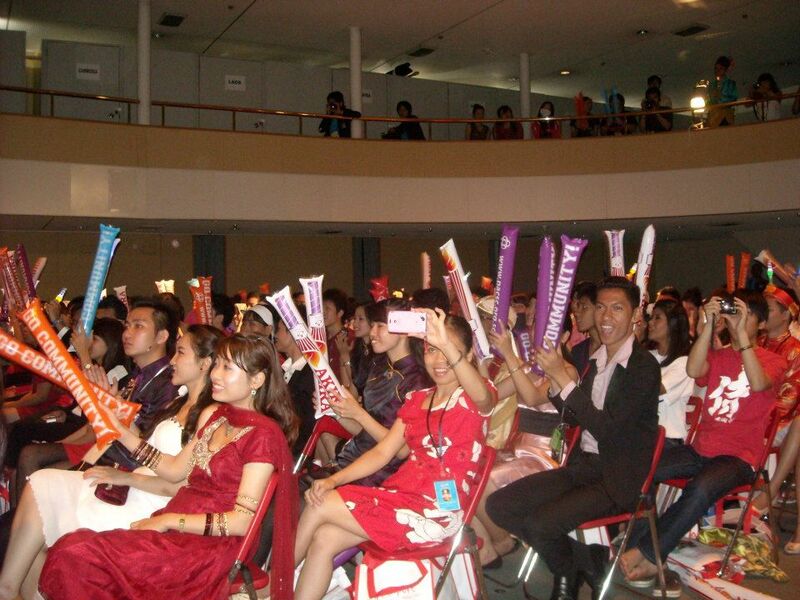 It was my second time in Singapore as this was a port of call for SSEAYP (Ship for Southeast Asian Youth Programme). I’m glad that my homestay family gave me a fresh perspective of the Lion City. We went to the usual tourist spots and heard stories and history of these places which was nice. It was also a thrill to try out the many different kinds of food as we explored these food courts which they call hawker centers. It’s where you can get a smorgasbord of Chinese, Malay, and Indian food. Ah, food heaven! Overall, the port of call in Singapore was a lovely experience and I hope to be back again someday to have that third time charm. No, I didn’t try out Thailand’s exotic food of crickets and scorpion. But I did taste their famous Pad Thai (Thai-style stirred fry noodles) and Tom Yum (hot and sour) soup. I wasn’t able to ride elephants. 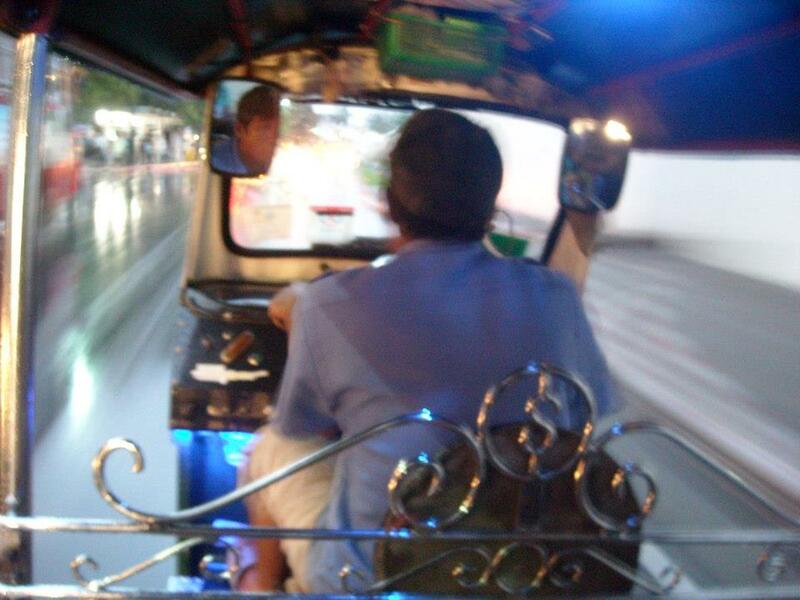 But I was able to ride their version of Philippine’s tricycle – the tuk tuk, an auto rickshaw. I didn’t get any Thai massage but I had the chance to have a combat martial art, Muay Thai workout. 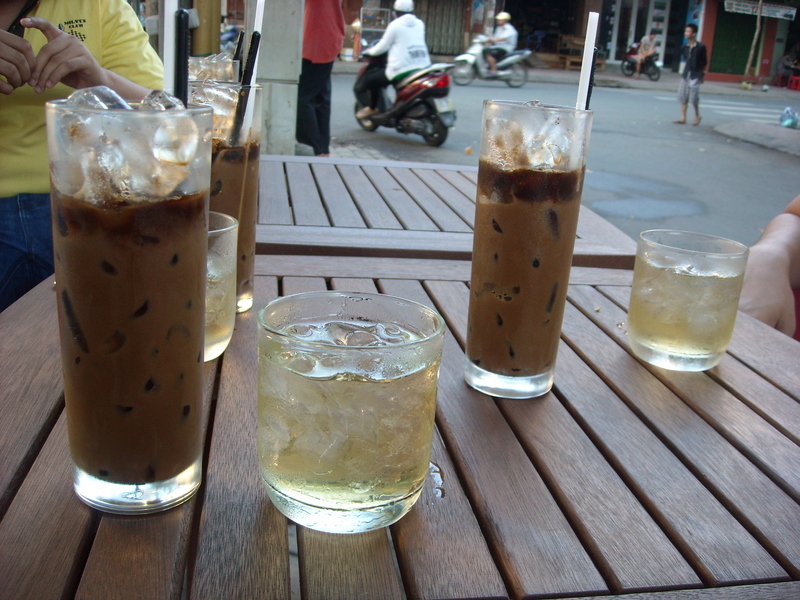 These are but a few of the things you can do and experience in Thailand. Add to that the magniﬁcent temples you could visit like the Royal Grand Palace Temple and the Wat Arun Rajwararam (The Temple of Dawn). Touchdown Bangkok. A city buzzing with noise, activities, and life. A classic example of fast paced progress and development co-existing with the cultural and traditional lifestyle. Of tall modern buildings popping up with still standing old age temples. Of business people and tourists, here and about, alongside Buddhist monks in their orange robes which symbolizes their vow of selﬂessness and simplicity. What more to experience the Thai culture than to stay in an actual Muay Thai camp and meet the famous owners, Mr. and Mrs. Sangsuwan. I mean they must be really famous because they showed us this magazine with an article and pictures of them on it. There were nine of us who were taken in by the family and were treated to a tour, local delicacies, and Muay Thai training. Each of us had a moment with the coach as he directed us to kick and punch. I was told that I was actually good so I thought this could possibly be a career option in the future! With us during that training were these young boys and girls who apparently have regular sessions. Plus there’s a lady boy. There was an argument as to his or her gender. A lady? A boy? Turned out, a lady boy which is not uncommon in Thailand. What I knew about Thailand was limited to its really good horror ﬁlms such as “Shutter” and its popularity for cheap cosmetic surgery. But now I’m impressed as to how they are overtaking the Philippines in terms of development. I believe the way they’re liberal towards reproductive health reducing population is one factor. They also seem to put premium on education as they employ Filipino English teachers. A lot of my friends who decided to become English teachers in Thailand feel right at home. My Thai buddies also told me that they had Filipino teachers, good ones at that, which makes me feel even prouder to be a Filipino. Me, living and working in Thailand? That could deﬁnitely be a possibility. I could follow the trails of my fellow Filipinos and be an English teacher. Or be a Muay Thai boxer! Do you want to travel? Experience different cultures? Meet new people and friends. 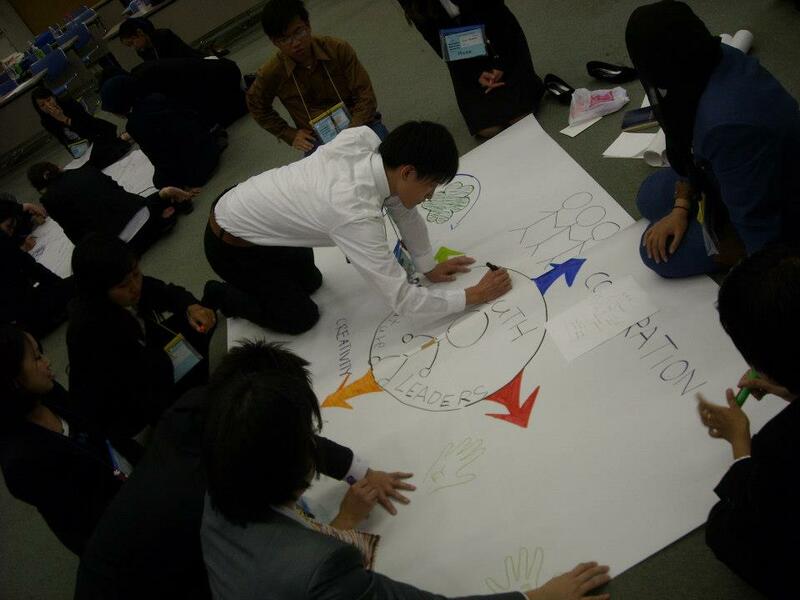 Represent your country and be a youth ambassador? Well, I was able to do all that with SSEAYP. SSEAYP stands for Ship for Southeast Asian Youth Program, a Japan sponsored exchange program that’s been running for 42 years now since its inception in 1974. 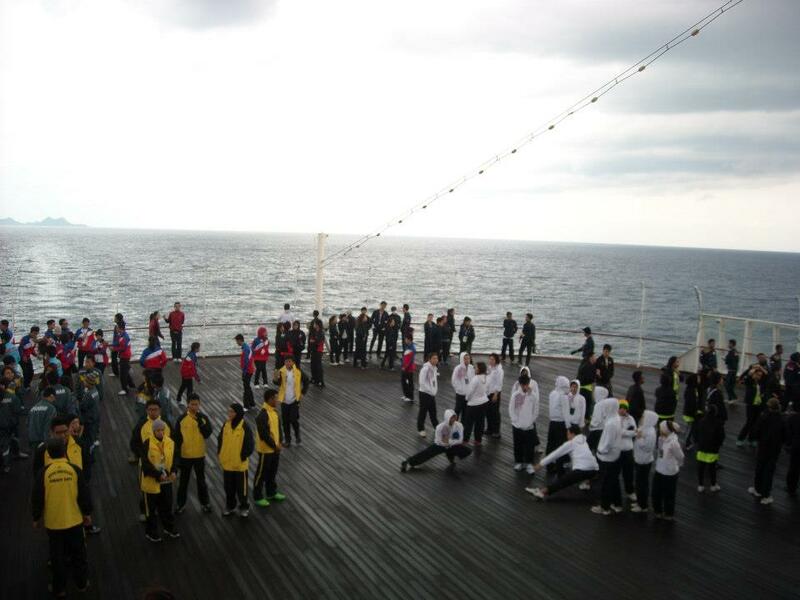 Basically, what happens is that youth ambassadors from ASEAN countries and Japan convene onboard a ship, Fuji Maru for our batch (Nippon Maru for the others), and share their lives together for 53 days. 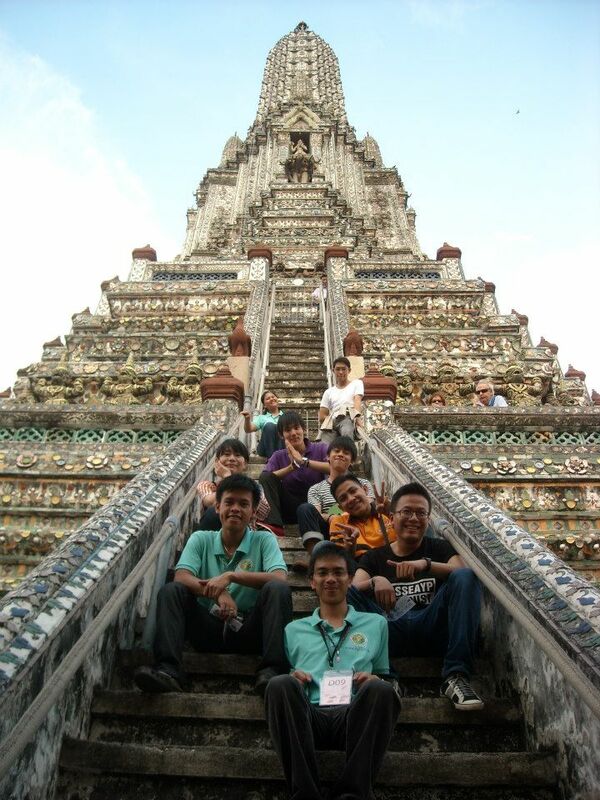 For 39th SSEAYP, we traveled from Japan to Vietnam, Thailand, Singapore, Indonesia, and Brunei Darussalam. It was one heck of a journey that words or pictures wouldn’t sufﬁce to fully explain and describe the stories, the behind-the-scenes, the emotions. Now it would be a shame if this program is cancelled forever. Too bad for the youth who won’t be able to be a part of this life-changing experience. Let me tell you a bit more of what exactly happens in SSEAYP. The day starts onboard the ship with a morning call. You could hear familiar voices coming out from the speakers saying good morning in different languages. Some would be singing. Others giving reminders. And there would be those who just couldn’t contain themselves and would be practically shouting. They sure are serious about their task of waking everyone from their slumber. And so you drag your unwilling feet to the sports deck while you try to wipe off the sleep from your face. 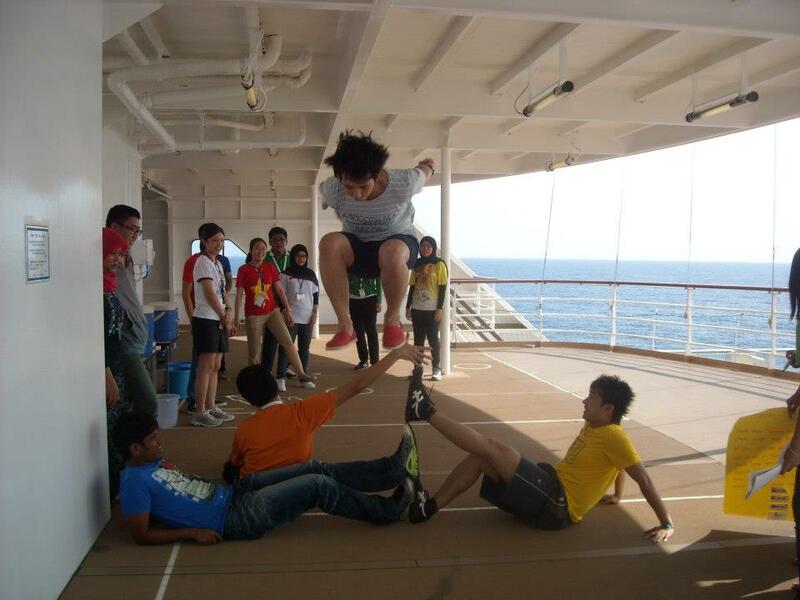 The sports deck is where we do the morning exercise or the ﬂag hoisting depending on the schedule. Morning exercises are usually fun. That is if you’re into sporty, physical stuff. And this is supposed to help ease one’s seasickness. The ﬂag hoisting on the other hand can be stressful, putting most people on edge. You may think raising the ﬂag of a certain country is that simple but it demands sensitivity and respect. A ﬂag is a country’s national symbol and thus should be handled with utmost care and should be hoisted the right way. The speakers start to crackle and you hear this kindergarten-ish melody signaling that it’s time for breakfast! We go to the dining hall and would be greeted by the crew who are mostly Filipinos. The buffet of food can be overwhelming. You would want to try everything. You put a lot on your plate and decide you’re too full to ﬁnish it. That’s what most people did. So came this food waste campaign from Discussion Group (DG) 3: Environment chanting, “Take what you can eat and eat what you take.” The food waste was reduced. I don’t know if it’s because of the advocacy, or we got tired of the food, or we just couldn’t ﬁt in our clothes anymore that we needed to diet. “This is an announcement from the administration. To all PYs (Participating Youth), National Leaders, and Facilitators, please assemble at the Paciﬁc Hall at 9:00 AM. If you cannot join the morning assembly due to seasickness or other forms of illness, please call extension 23…” That’s the morning assembly where we are reminded of everything, from the schedule, to activities, to dress codes. We do have codes for the outﬁt, literally. A1 for formal, B for national costume, C for casual, and so on. The whole day would be ﬁlled with an array of activities – team building, discussion, games, cultural presentations, ﬁlm showing, you name it. We even had our version of The Oscars where short ﬁlms were made and screened, with awards night and all! 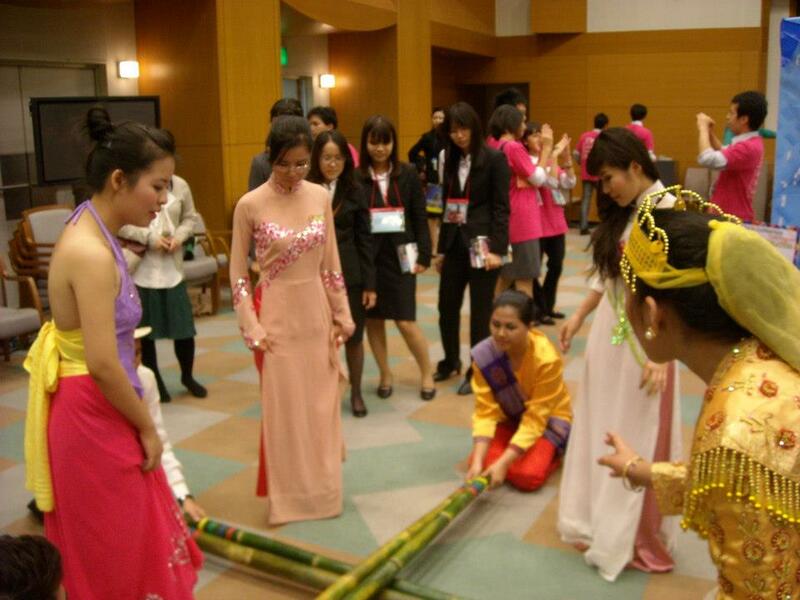 SSEAYP felt like United Nations when we’re all garbed in our colorful national costumes. It felt like a diplomatic mission during formal occasions of ﬂag hoisting, courtesy calls, and speeches from dignitaries. It’s like a party with all the social activities, and dancing, and people having loads of fun. It would seem like high school if you have your own nominees in mind of the friendliest, most active, most popular, etc. The best thing of all, SSEAYP is family. We have this unconditional love and acceptance of everyone. We may not know each other that well but there’s this bond that goes beyond race and culture. I hope and pray that SSEAYP continues to sail on. 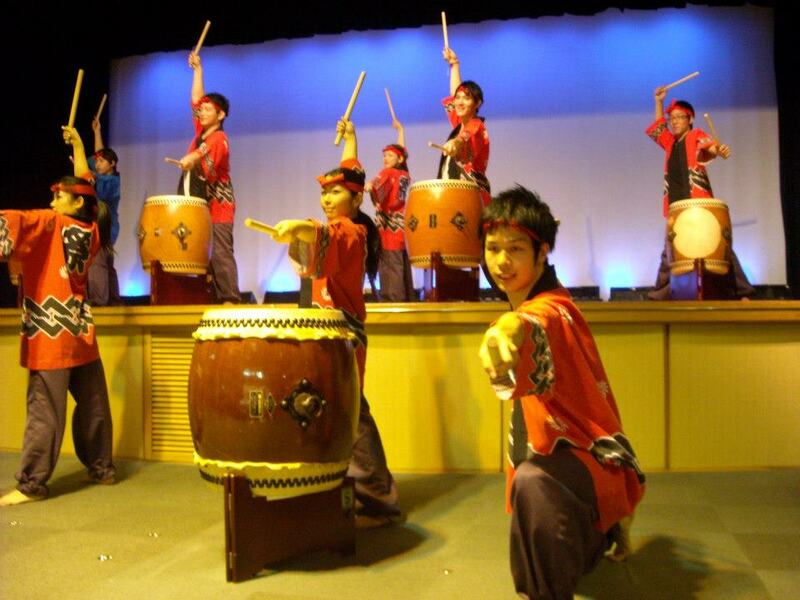 And keep on promoting cultural understanding, building friendships, and touching lives. This story is dedicated to my host dad in Indonesia, Papa Pamo, who passed away today. Condolence to Mommy Sonya, Mila, and the rest of the family. 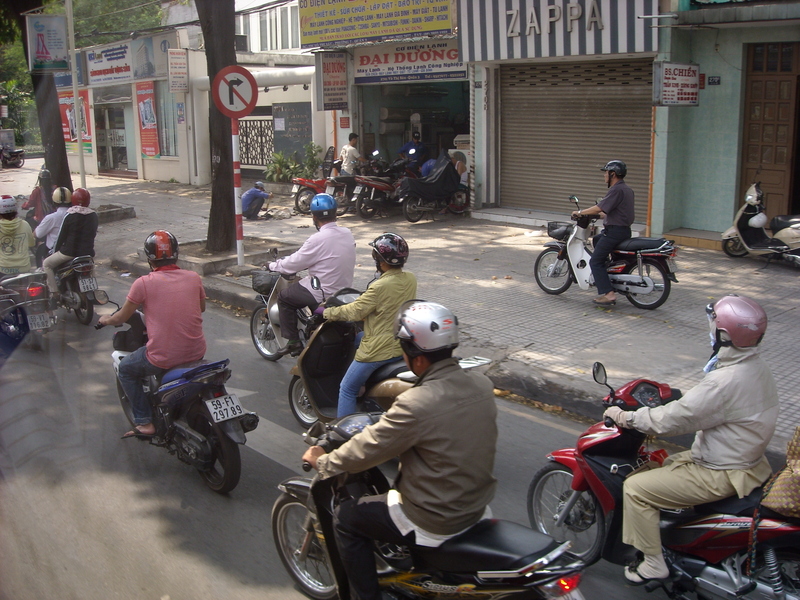 Traffic jam is a generic problem of big cities particularly capitals like Manila and Jakarta. I suppose that made me conclude that Indonesia would be very closely similar to the Philippines. But interestingly, both countries can even be more the opposite with the Philippines being a pre-dominantly Roman Catholic nation and Islam as a dominant religion in Indonesia. And in a pleasant twist of fate, I was introduced to my host parents – Sonya, a Catholic Pinay from Leyte and Pamo, a Muslim Indonesian. Talk about love that knows no boundaries. Cross-cultural marriage is always a challenge. Add to that a difference in religion. But they made it work. Sonya said that at the onset, they decided that their religion would not get in the way. And it didn’t. She didn’t have to convert. She, in fact, as a devout Catholic told us of her planned pilgrimage trip to Europe in the Easter. It’s refreshing to be in the midst of people living in peace and harmony despite the obvious differences in race, culture, faith, and belief. Though this is also a sad reminder of Christians belonging to different religious sects clashing. And Christians and Muslims with their prejudices and stereotypes of each other. Anyway, we were able to go to some elegant and spacious malls in Jakarta. Not so crowded like in the Philippines and definitely quieter. We also toured Taman Mini Indonesia which features a literal miniature version of the country so we got to see how structures were built in certain regions. We had lunch with our bare hands in a restaurant where you don’t have to place your order. You don’t even need to look at the menu because they bring all the food out and you choose a plate you fancy. At the end of the meal, they count the empty plates and that’s what you pay for. What if you just tasted a dish and lied about touching it? Well it just doesn’t happen that way. After lunch, we went batik shopping at Thamrin City. I bought so many and spent around $55. At that moment, I got worried about baggage weight limit upon our return back home. In the evening, we celebrated Mommy Sonya’s birthday. And surprise-surprise! She served Filipino food. I was so happy. Leaving Indonesia, I brought with me loads of “extra baggage” – pictures of places, memories of culture, batik souvenirs, and lessons about religious tolerance and love.